Cohesive force. Ultimate coordination. Unity in balance. Enchanting effect. 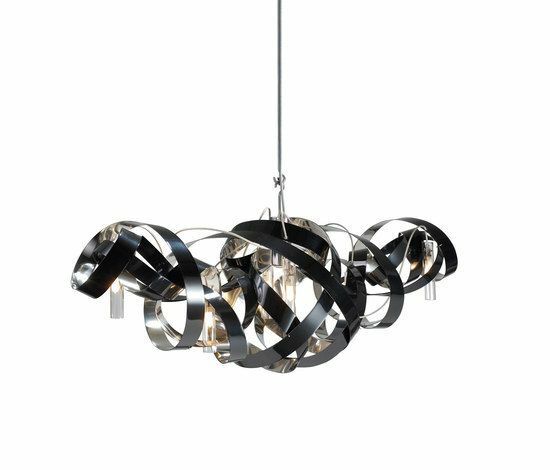 Moment of contemplation… The montone collection consists of light features that are as striking as they are graceful, with continuous, twisting shapes. The various models are made of brushed or highly polished stainless steel (in various colours) and opaline glass. The continuous twists of the montone collection are shaped by hand from strip steel. The light is emitted from the core of the lamp and is reflected by the fitting to produce an enchanting effect. The Montone collection by Jacco Maris Design is available as a hanging lamp, ceiling lamp, wall lamp, standing lamp or table lamp. The light comes from a high voltage halogen bulb that can be varied using a suitable dimmer switch. The montone is designed by Jacco Maris and Ben Quaedvlieg.